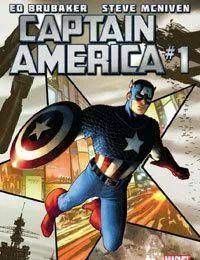 Steve Rogers is back as Captain America. With Ed Brubaker and Steve McNiven on board, theres no reason you shouldnt pick this issue up. Its also a great jumping on point for new readers. Loads of action along with great art to make readers happy.